Optional Accessories - up to 20% off! 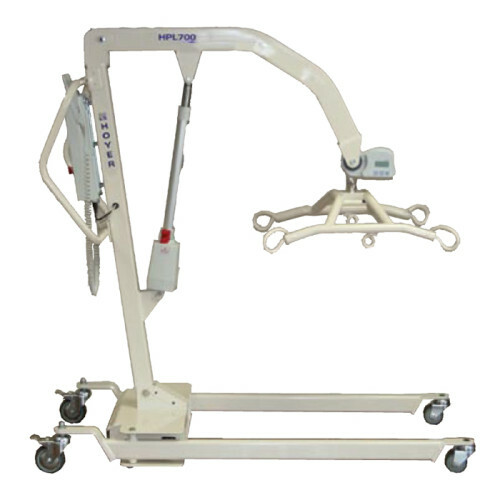 The HPL700 is a uniquely designed electronically operated patient lift for the safe lifting of heavier patients. It is both sturdy and robust with a safe working load rating of 700lbs. 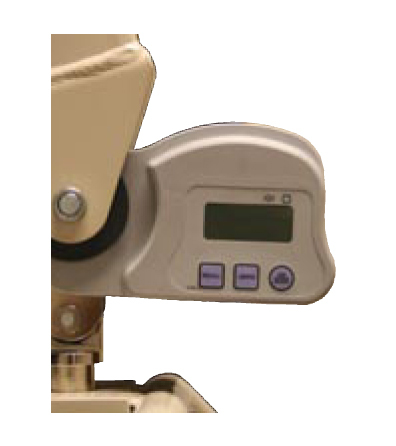 The HPL700 has been designed to be configured with or without an optional weigh scale. The weigh scale is seamlessly integrated with a digital display on both sides and user-friendly controls. The large, open cradle results in less discomfor to the patient caused by pinching and squeezing. 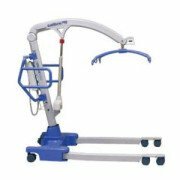 The powered base allows the legs to be opened and closed to enable access around armchairs, wheelchairs, and simliar obstacles without bending or twisting. The HPL700 comes standard with two batteries and a charging station. Visual and audible low-battery indicators are featured. 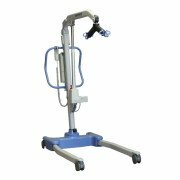 Reach at Maximum Height 28.5"
Reach at Minimum Height 27"
Legs Open - External Width 46.25"
Legs Open - Internal Width 42.25"
Legs Closed - External Width 27.5"
Legs Closed - Internal Width 23.5"
Overall Height of Legs 4.5 in. Front Twin Casters 3 in. Rear Braked Casters 4 in. Mast, Base, Boom Assembly, Cradle 143.4 lbs. Mast and Boom (not including battery) 40.4 lbs. 6-Point Spreader Bar 20 lbs.